Finding a good job can be stressful and finding your dream job even more so. Even in the open source world, with its many opportunities for making a name for yourself by volunteering, it takes effort to make the connection between what you have to offer as a job seeker and what employers are looking for in an employee. One thing that can help set you apart from other applicants is having a solid understanding of yourself and what you bring to the table. Here, I share with you four books you should read to better to understand and express your career aspirations, discover your passions, and find "hidden" job opportunities by networking. While these books do not provide the magical solution to get you your dream job, they do provide the tools that can help a job seeker succeed. What Color is Your Parachute? 2017: A Practical Manual for Job-Hunters and Career-Changers by Richard N. Bolles is the book for job hunters. Bolles provides a wide range of advice for job seekers, covering everything from finding jobs to interviewing and negotiating salary. What sets What Color is Your Parachute apart from other career books is the "flower exercise," a way to inventory your skills, interests, preferences, and more in a single place. By doing all the exercises to fill in the various flower petals, job seekers learn more about who they are and what they want from a job. With this knowledge, job seekers can better focus their job hunt, seek out jobs that are the best fit for their skills, and provide potential employers with answers to interview questions that are informed by the job seeker's self-discovery though the flower exercise. 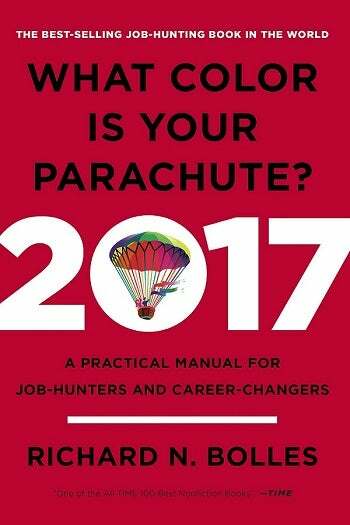 What Color is Your Parachute is revised every year to keep up with changes in the job market, but slightly older editions are still worth reading if you cannot get your hands on the latest edition. In The Element: How Finding Your Passion Changes Everything, Sir Ken Robinson, PhD, looks at the intersection between passion and talent. When a person finds the place where those two things overlap for themselves, they have found their element. When that happens, people are at their most productive and most fulfilled. The Element is full of stories about notable artists, scientists, athletes, and business people, and Robinson uses the experiences of these people to inspire readers to find their own elements. While there are valid concerns about getting too caught up in pursuing one's passion to the point where doing anything else is considered a failure, The Element takes a reasonable, well-measured approach to the issue. The book explains that it is good, even beneficial, for people to combine their passions and talents into something that will make them happy, but if they have yet to figure out what that is, then that is okay. The book even has a chapter entitled "Is Is Too Late?" The answer, of course, is no. So no matter your age or level of experience, give The Element a read as you try to find your place in the world and secure a job that is at the intersection of your passions and your talents. 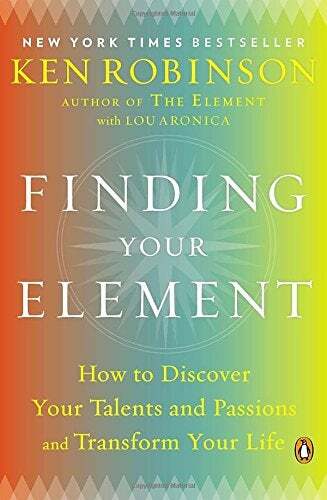 Written as a followup to The Element, Finding Your Element: How to Discover Your Talents and Passions and Transform Your Life explores the same issues, but provides more instruction about finding your element. While The Element focuses on explaining things through narrative, Finding Your Element uses exercises to help the reader discover their skills, talents, and passions. Each chapter ends with a list of questions for the reader to consider. Even though it has a greater emphasis on the how aspect, Finding Your Element is not purely a how-to guide. It does provide readers with practical exercises, but it also has a compelling narrative structure. By design, The Element and Finding Your Element cover a lot of common ground, but because they take different approaches to the issue, it is best to read them both. 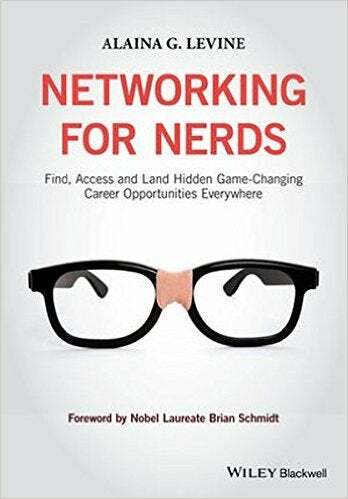 Networking for Nerds: Find, Access and Land Hidden Game-Changing Career Opportunities Everywhere by Alaina G. Levine is an in-depth guide to building connections and finding career opportunities. Once you have figured out who you are and what you want out of a career, the tips in Networking for Nerds will help you connect with people who might be able to open doors for you. Many jobs are not listed publicly, and good networking skills are crucial for finding these "hidden" jobs. Networking for Nerds covers both traditional networking via in person meet-ups and the like, as well as building connections using social media. Of all the tips in Networking for Nerds, the most important is probably: "Networking is not a one-time act—it is a spectrum of activities that aims for a long-term, strategic partnership." Having one conversation with someone or sending one inquiry via email or social media is communicating, not networking. The goal is to build lasting, mutually beneficial relationships with peers and mentors. With much of the collaboration in the open source world taking place in public online, using the tips in Networking for Nerds to politely reach out to potential collaborators and mentors is an excellent way to start growing your network, learn and share new things about open source, and possibly open the door for your next job opportunity. I'm a Sir Ken Robinson fan and I've read The Element. 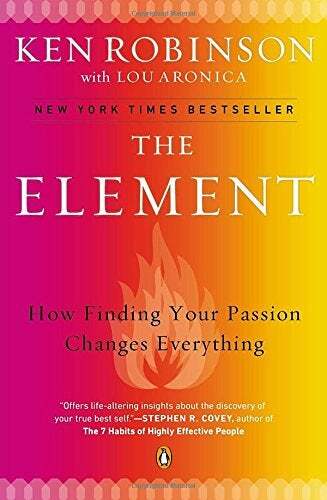 Now, I'll have to read "Finding Your Element." Thanks for the great review.